Home » Uncategories » What are the advantages and disadvantages of modern agriculture? What are the advantages and disadvantages of modern agriculture? Agricultural systems depended on internal resources, recycling of organic matter, built-in biological control mechanisms and rainfall patterns. Agricultural yields were modest, but stable. Production was safeguarded by growing more than one crop or variety in space and time in a field as insurance against pest outbreaks or severe weather. Inputs of nitrogen were gained by rotating major field crops with legumes. In turn rotations suppressed insects, weeds and diseases by effectively breaking the life cycles of these pests. During the latter half of the twentieth century, what is known today as modern agriculture was very successful in meeting a growing demand for food by the world's population. Yields of primary crops such as rice and wheat increased dramatically, the price of food declined, the rate of increase in crop yields generally kept pace with population growth, and the number of people who consistently go hungry was slightly reduced. This boost in food production has been due mainly to scientific advances and new technologies, including the development of new crop varieties, the use of pesticides and fertilizers, and the construction of large irrigation systems. Evidence indicates, however, that excessive reliance on monoculture farming and agroindustrial inputs, such as capital-intensive technology, pesticides, and chemical fertilizers, has negatively impacted the environment and rural society. Most agriculturalists had assumed that the agroecosystem/natural ecosystem dichotomy need not lead to undesirable consequences, yet, unfortunately, a number of "ecological diseases" have been associated with the intensification of food production. They may be grouped into two categories: diseases of the ecotope, which include erosion, loss of soil fertility, depletion of nutrient reserves, salinization and alkalinization, pollution of water systems, loss of fertile croplands to urban development, and diseases of the biocoenosis, which include loss of crop, wild plant, and animal genetic resources, elimination of natural enemies, pest resurgence and genetic resistance to pesticides, chemical contamination, and destruction of natural control mechanisms. Chemical fertilizers can also become air pollutants, and have recently been implicated in the destruction of the ozone layer and in global warming. Their excessive use has also been linked to the acidification/salinization of soils and to a higher incidence of insect pests and diseases through mediation of negative nutritional changes in crop plants. Use of fertilizers can alter the biology of rivers and lakes. Applied in either liquid or granular form, fertilizer can supply crops with readily available and uniform amounts of several essential plant nutrients. Fertilizers, on the other hand, have been praised as being highly associated with the temporary increase in food production observed in many countries. National average rates of nitrate applied to most arable lands fluctuate between 120-550 kg N/ha. But the bountiful harvests created at least in part through the use of chemical fertilizers, have associated, and often hidden, costs. A primary reason why chemical fertilizers pollute the environment is due to wasteful application and the fact that crops use them inefficiently. The fertilizer that is not recovered by the crop ends up in the environment, mostly in surface water or in ground water. Nitrate contamination of aquifers is widespread and in dangerously high levels in many rural regions of the world. Such nitrate levels are hazardous to human health and studies have linked nitrate uptake to methaemoglobinemia in children and to gastric, bladder and oesophageal cancers in adults. Pesticides can kill useful insects as well as those that destroy crops. The loss of yields due to pests in many crops. It is well known that cultivated plants grown in genetically homogenous monocultures do not possess the necessary ecological defense mechanisms to tolerate the impact of outbreaking pest populations. 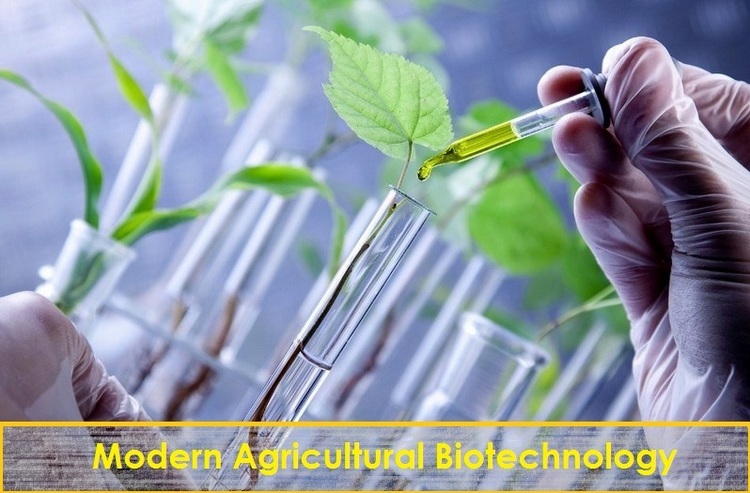 Modern agriculturists have selected crops for high yields and high palatability, making them more susceptible to pests by sacrificing natural resistance for productivity. On the other hand, modern agricultural practices negatively affect pest natural enemies, which in turn do not find the necessary environmental resources and opportunities in monocultures to effectively and biologically suppress pests. Use of chemicals on fields creates run-off, excess runs off into rivers and lakes causing pollution. Fertilizer nutrients that enter surface waters (rivers, lakes, bays, etc.) can promote eutrophication, characterized initially by a population explosion of photosynthetic algae. Algal blooms turn the water bright green, prevent light from penetrating beneath surface layers, and therefore killing plants living on the bottom. Such dead vegetation serve as food for other aquatic microorganisms which soon deplete water of its oxygen, inhibiting the decomposition of organic residues, which accumulate on the bottom. Eventually, such nutrient enrichment of freshwater ecosystems leads to the destruction of all animal life in the water systems. Per John Jeavons of growbionintensive.org, it kills or malnourishes the fungi and bacteria that hold the soil together, resulting in loss of topsoil, so the increase in yield is only temporary, and, like a heroin addiction, demands ever-greater inputs to sustain output, and eventually destroys the productive capacity of the land. Under conditions of intensive management, treatment of such "diseases" requires an increase in the external costs to the extent that, in some agricultural systems, the amount of energy invested to produce a desired yield surpasses the energy harvested. The spread of transgenic crops threatens crop genetic diversity by simplifying cropping systems and promoting genetic erosion. In orchards and vineyards, the use of cover crops improve soil fertility, soil structure and water penetration, prevent soil erosion, modify the microclimate and reduce weed competition. Entomological studies conducted in orchards with ground cover vegetation indicate that these systems exhibit lower incidence of insect pests than clean cultivated orchards. This is due to a higher abundance and efficiency of predators and parasitoids enhanced by the rich floral undergrowth. At the regional level, increases in monoculture farming meant that the whole agricultural support infrastructure (i.e. research, extension, suppliers, storage, transport, markets, etc.) has become more specialized. As specific crops are expanded beyond their "natural" ranges or favorable regions to areas of high pest potential, or with limited water, or low-fertility soils, intensified chemical controls are required to overcome such limiting factors. The assumption is that the human intervention and level of energy inputs that allow these expansions can be sustained indefinitely. Reduction and, especially, elimination of agrochemical require major changes in management to assure adequate plant nutrients and to control crop pests. As it was done a few decades ago, alternative sources of nutrients to maintain soil fertility include manures, sewage sludge and other organic wastes, and legumes in cropping sequences. Rotation benefits are due to biologically fixed nitrogen and from the interruption of weed, disease and insect cycles. A livestock enterprise may be integrated with grain cropping to provide animal manures and to utilize better the forages produced. Maximum benefits of pasture integration can be realized when livestock, crops, animals and other farm resources are assembled in mixed and rotational designs to optimize production efficiency, nutrient cycling and crop protection. What happens is that some well-intentioned groups suffer from "technological determinism", and emphasize as a key strategy only the development and dissemination of low-input or appropriate technologies as if these technologies in themselves have the capability of initiating beneficial social changes. 2 Responses to "What are the advantages and disadvantages of modern agriculture?"